Leading nicely on from my last piece about how to "tool up" to communicate properly in your relationship, I find myself compelled to mention the wonderful world of non-verbal communication, in particular, texting. Daily life seems to cocoon us more and more within the world of laptops and virtual relationships with others and as well as the plethora of benefits in terms of connecting us with ever larger circles of people, it can, in intimate relationships, kill some of the essence of good old fashioned face to face dialogue. Now I am not saying texting is bad because indeed it has its benefits. For example, sending a sweet nothing to your loved one as they journey through their day, just to show you care, is lovely... or to wish them luck when they are just about to head into an interview. It saves money on a phone call and sometimes for a quick word or two, it's not necessary to speak. I guess I just want to explore and share my thoughts on using texting to communicate when you really do need to talk. I have been guilty, if I can call it that, of trying to get my point across when I was peed off about something in my previous relationships. My intention? To tell him how I feel and then shut him out because I need to run away for a while! My defence plan "You are gonna know how I feel, but you are gonna have to run after me to fix it!" Crazy huh! But that's me. 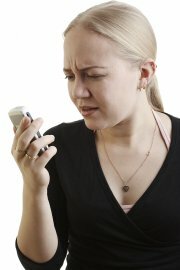 Think about how you use texting when you want to say something but are and this is the point, afraid to speak the words. I have learnt about two styles of behaving in conflict in relationships. I will call these two folk, minimisers and maximisers for the purpose of illustration. Maximisers in conflict are usually the more emotionally flowery people who want to talk about everything to sort problems out and they only feel connected when their partner listens and hears them. Maximisers can be overbearing and intense and sometimes can scare their partners with huge outbursts of emotional lava. Texting trends tend to be "hot pursuit" style. A new client said of his girlfriend recently, "She freaks me out sometimes and literally stalks me on text! I feel trapped and pretty intimidated and can't escape, so I shut her out to get some peace." This is classic! My main point is that texting in conflict will usually inflame rather than smooth, because we can so easily take the words the wrong way. I will agree that sometimes a quick text to say "darling, I feel a little emotional about what you said earlier, can we talk later?" is ok, because it is stating how you feel rather than chucking a great big hang grenade criticism. But remember with texting, it is the words you use that can aggravate or smooth. So if you feel utterly compelled to text...explain how you feel, NOT what your beau is doing to pee you off. Blaming and shaming never works and on text it's a very detached way of putting your point across. I had an emotionally intense relationship 3 years ago, where most of my more difficult conversations were on text because I felt afraid of his response. I can't talk for his feelings about it, but it was almost like I couldn't face him for fear that he would leave me at some point. I used to get really upset if he blocked me out and shut down when he was angry, so I would "fire" a text to try and wound him in his rabbit hole, then I would shut down and retreat hoping and praying he would come get me and make it better. Oh what a survival strategy! So often texting can be muddled in its "received" mode. Taking it the wrong way is common. How many times have you got it wrong when someone has texted you and how many times did your receiver take it the "wrong" way from you? Easy to do. Our previous experiences create a filtering system in our minds and certain words or messages will be absorbed, filtered and according to your values and beliefs you will react according to what your resulting "output" is. Having a conversation with your partner can ease the ability to take it the way to choose, rather than the way they meant it. Our stories about what we think is coming from our partner can be way off the mark, so please, if you to need to say something delicate, say it don't text it...it saves a lot of hassle in the long run! Finally...next time, as you start to send a text to your loved one in a bad moment, perhaps after a row or even before one, stop and think a little. Does your relationship deserve to have you contributing in this way or would it be better to tell your loved one face to face how you feel about what is happening? Enjoy texting for the fun of it...leave the tougher bits to the bravery of talking...go on...you can do it!